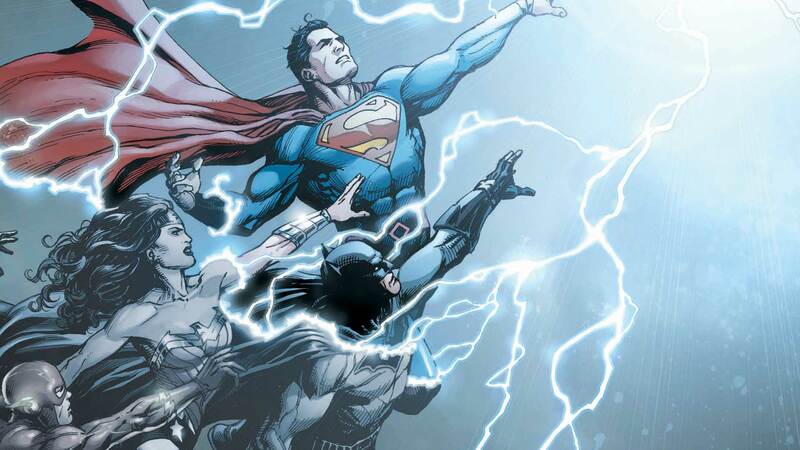 DC Chief Creative Officer Geoff Johns discusses his newest comics project, DC UNIVERSE: REBIRTH, and what it means for the DCU and all of the many heroes and villains within it. As the writer of GREEN LANTERN: REBIRTH and THE FLASH: REBIRTH, the word “Rebirth” has come to mean something very important to me. It’s not a brand or a marketing tool; it never has been. To me, “Rebirth” is about how to approach mythology—about how to honor and celebrate the characters and their respective universes and embrace the values they embody. It’s about the past, the present and most importantly the future. GREEN LANTERN: REBIRTH wasn’t only about the return of Hal Jordan and the Green Lantern Corps. It was building on a great foundation with tales like “Sinestro Corps War” and “Blackest Night”—stories that challenged our heroes, redefined their villains and introduced new threats and adventures built on the core essence of the Green Lantern myth. For the DC Universe, it’s about more than just the heroes or villains we might not have seen in a while; it’s about the intrinsic values of what DC Comics and its universe stand for. That’s legacy and honoring the past, while moving it all to the future. In a world of digital cynicism and perhaps justified skepticism, I hope you’re surprised when you read the books. I hope you’ll feel the passion the creators have for the DC Universe within their pages. But my greatest hope is that all our readers—old and new, returning and die-hard—get a sense of the entire universe as one cohesive, living organism built on the greatest heroes and villains in the world, honoring what’s come before while looking to what will come tomorrow. “Rebirth” is the next chapter in the ongoing saga of the DC Universe, and I can’t wait for you to experience it. DC UNIVERSE: REBIRTH #1 written by Geoff Johns and drawn by Ethan Van Sciver, Ivan Reis, Gary Frank and Phil Jimenez will be available May 25 in print and as a digital download. The #DCTV Secrets of GOTHAM: Ep. 2.21 "A Legion of Horribles"